Ever think to yourself “I wish I could find a man that’s got it all”? Well, look no further than your nearest design agency ladies because your future husband is probably sorting through his color palette book as we speak! 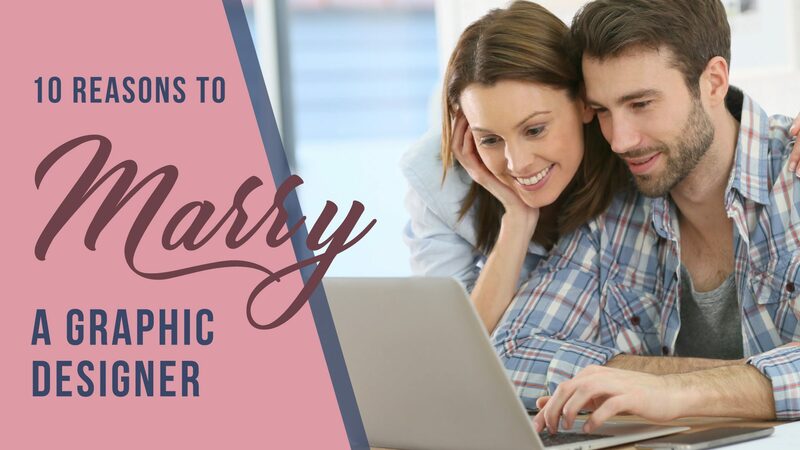 Here are 10 reasons why you should marry a Graphic Designer! He’ll listen. He get’s it. He listens to logo clients demand the details so he’s ready for some pillow talk. He’s the guy that will clean behind the toilet and not just the seat. And he will do it without complaining. He enjoys Netflix and chill but designers are natural travelers. He’ll always be up for a last-minute getaway. He’s ready to jump in the car, drive to Hobby Lobby, and stock up on craft supplies for date night. He’ll enjoy going to the store to pick out paint! Strong arms and strong design? He makes remodeling fun and easy! Never be embarrassed about his attire. A Graphic Designer always cleans up nice! Did he leave the seat up? Did he not vacuum properly? As a designer he knows how to take criticism in order to improve his work! 08. Wall art is no problem! Baby room need animal wall decals? Your hubby can design it all and more with a few clicks of his mouse. It takes patience for great ideas to develop. He gets it! When it comes to marriage, a Graphic Designer will always be developing the relationship to last! He will always keep you on your toes! Mix that curiosity with his creative mind and you have yourself some very fun dates to look forward to!